In previous stories we covered baby food and nursery furniture. Next on the list are those beautifully packaged and very enticing creams, soaps, lotions and wipes, which us as new moms are bombarded with and sometimes feel that our children will not survive without. Baby toiletries are one of our biggest pet hates, they are a waste of money most of the time and off the shelf products are full of undesirable chemicals. So what to do? Well at the risk of repeating ourselves, this will save you money and the environment, and be ever so kind to your health. 1. Parfum – If you think this is natural, think again; this word can refer to a multitude of artificial chemicals that are used to make one scent. Even the simplest fragrance can contain hundreds of ingredients, which may contain neurotoxins and are the most associated with allergic reactions. 2. Parabens – These are used as preservatives and are just about in every product. Most preservatives can cause dermatitis. They are also a known skin sensitizer and irritant, and have been linked to breast cancer and hormone/reproductive disruptions. 3. DMDM Hydantoin – This in particular is a red flag, as it’s a known allergen that forms cancer causing chemicals. As you will see on the packaging the list of chemicals used is endless, go to the EWG Skin Deep Website for your recommended reading. So how to be an EcoMom and chemical free? It’s quite straightforward. 4. Check shelf life date. First of all, if you are going to buy, buy natural and check their list of ingredients. Do not keep these products for longer than recommended, as natural products have a far shorter life once opened. 5. Avoid products with fragrances and long list of artificial chemicals. 6. 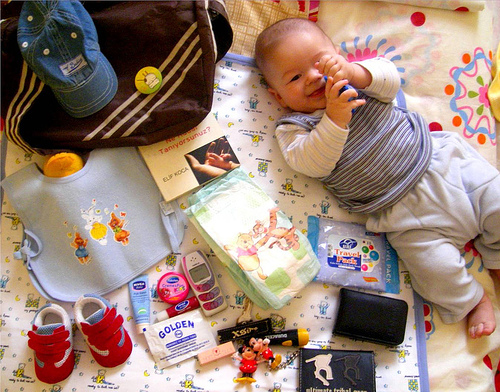 For the baby wipe solution, use cloth wipes and water—soap is totally unnecessary. You can even just put baby’s bum under the tap. If you really must have some for outings, you can find natural wipes, made from organic cotton and plant-based ingredients. Most baby wipes bought today contain parabens and nasty chemicals which can hurt your baby’s immune system. 7. Slow down bathtime – Babies do not need baths daily, it just dries their skin and can be quite stressful for all. Soaps and shampoos should be limited to the rare occasions when they are truly necessary; water is plenty good enough. 8. Diaper rash – air it out! The best solution here is to let your little one be nappy free for a while, fresh air is the best cure. For creams, look for a beeswax base to keep the skin dry. Calendula and chamomile have very good soothing properties. 9. Sunscreen – First of all, limit your baby’s exposure as much as possible and use long sleeves and trousers from lightweight fabric for protection and to help keep them cool. It is recommended that you do not use sunscreen at all for the first six months (and avoid exposure to the sun). Afterwards, look for products that are PABA-free and which protect against UVA & B, as well as products that are based on titanium dioxide and zinc oxide. For a last note: Most of the big companies still use animal testing. 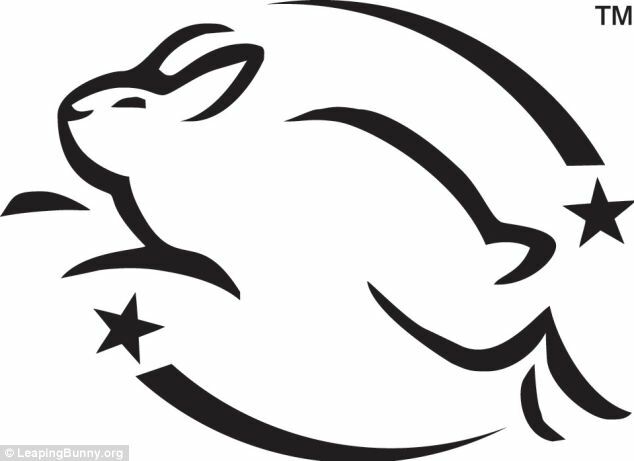 Check for the Humane Cosmetics Standard logo – a jumping white rabbit. Do not be misled by statements such as “Against animal testing,” as this is no guarantee, just a marketing tool.